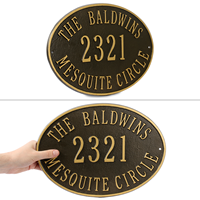 The elegantly simple oval design of our Hawthorne Standard Wall Three Lines Address Plaques makes it ideal for most any home's exterior. Available in a variety of finish colors to complement your outdoor color scheme. I am very pleased with the plaque. I was concerned that the letters and numbers wouldn’t stand out with the antique brass finish, but they are fine and easy to read even from a distance. Very pleased with the product and timely service. Would have liked the lettering on top and bottom spaced out more, but still looks very good overall. SmartSign: Thank you for your order. We appreciate your feedback. Just what I was looking for to display our house number and less expensive than some other sites offering this design. 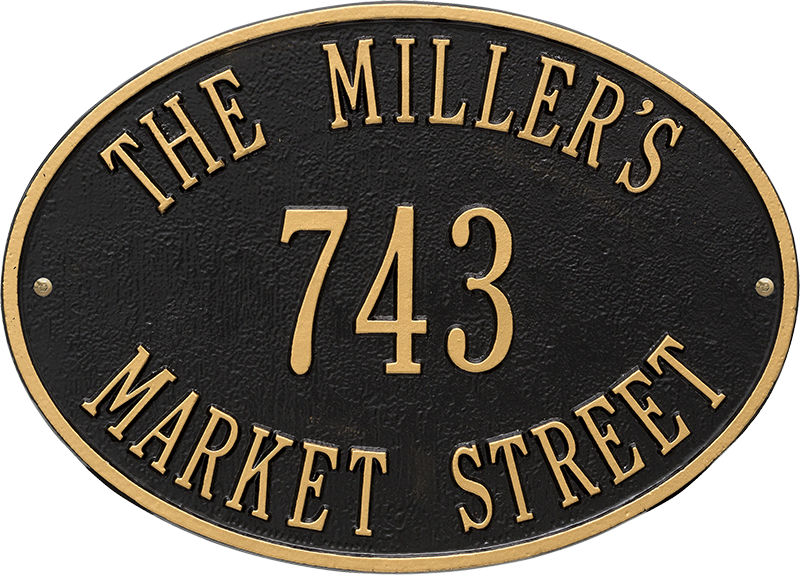 This sign is fantastic...it will look great on the mailbox post.